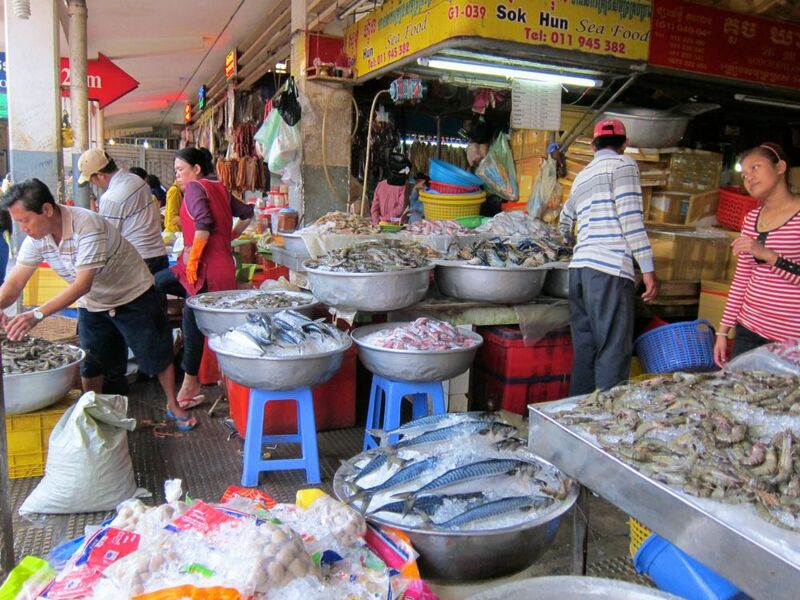 ​Phnom Penh still has plenty of local markets which are all well patronized not just by locals but by some adventurous expats as well. 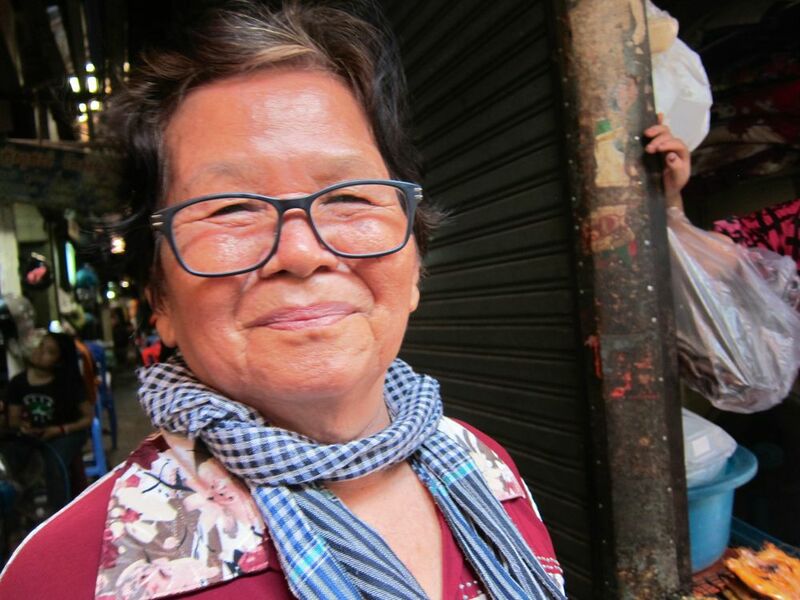 When we lived in Phnom Penh, we had one market just two blocks from our place and once in a while, when I couldn't find something in the grocery store or I just want a taste of something new, I venture out there. ​As soon as my husband left for work, I walked to the market. Ignoring the offers of tuktuk drivers, I headed for a leisurely walk. You won't miss the street because all of a sudden you see the surge in traffic and all transport slow down. Rows and rows of motor bikes are parked on one side. Shoppers flocked the rows of well laid out produce spilling halfway into the streets. The shoppers varied. Some were on their way to the office and buying some local delicacies to bring with them. Many were housewives out for their daily marketing. Older women as well who often cook for the family came everyday. Farmers bringing their produce and selling them directly to customers or to the store keepers were there early. ​​​As I went through the narrow alleyways leading inside, there were more rows of low tables with various products for sale. A lady cutting pork pieces, another one cooking River fish on the homemade barbecue, fanning the embers of the coals. ​Women waiting for cooked fish or shrimp they've ordered crowd the barbecue. So if you don’t want to cook or you don’t have a barbecue, the market offers many choices of broiled meat and seafood. For a fee, you can ask them to barbecue whatever you bring. I stopped by my tomato vendor and got a kilo of small tomatoes which was a bit less than a dollar. Then, I saw a ripe papaya and bought one. I, then, bought squash and waited for the lady selling sweet potatoes as she was busy serving customers, many of whom were buying cooked sweet potatoes. I saw, however, that she had raw ones so I asked her to pass me some from which I chose the ones I like. She promptly weighed it, bagged it and placed it in my cloth bag. 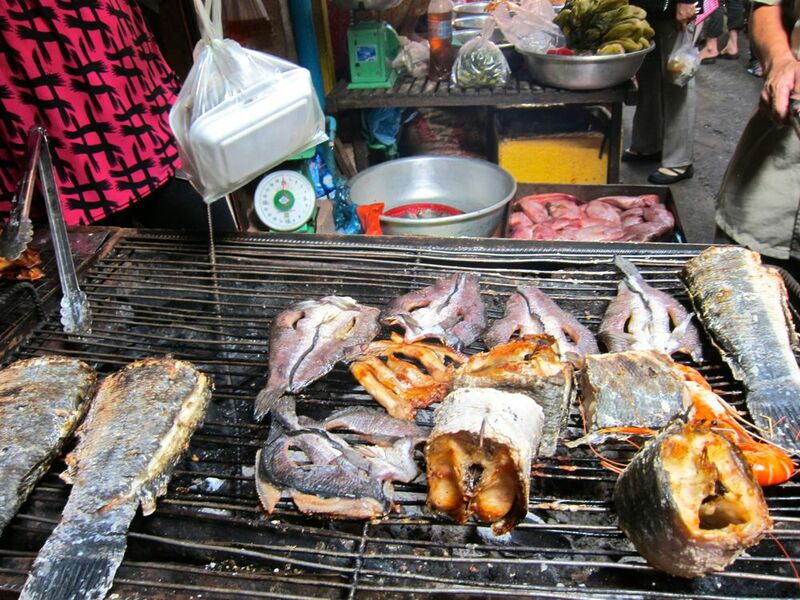 By this time, I could hardly carry what I bought so I stopped at the barbecue to smell the cooking fish. It reminded me of some of my wonderful memories in the beach when as a child, our parents and the other children in our place, would have picnics in the beach and barbecue newly caught fish or seafood. I started to ask for prices and another customer, an old lady, speaking in Khmer but in her own sign language responded to me. While waiting, we both started a conversation using signs. I placed my things down and took my camera as some of the scenes were worth a picture. She was laughing and enjoying my weirdness so I faced her and asked for a picture of her. She obliged with her pretty smile. We were joined by other shoppers in our laughter and I left happy. I know next time where to go if I want pleasant company. ​With my papaya (2kilos), a kilo of small tomatoes, squash(2 kilos), barbecued fish (3inches by 2 which cost $2.50), two good size sweet potatoes, I spent about $6. Without the fish, I would have spent less. I had so much fun, too. I resolved to even explore inside the next time I visited. It looked really interesting. Having the freshest and most variety in the food section, I would go to the Central Market where I bought my supply of shrimps, seafood and fish. The vendors already knew me and when I came back from months in Canada they always remarked on how long they haven't seen me. Buying fish here was easy as the owners of the stall cleaned it for me and I could choose the steak pieces I liked from the whole mackerel. They put this in ice and they're still as fresh as could be when I reached home. In this market were so many jewelry stalls right under the big dome of the art deco building, a legacy from the French. Although the designs were quite conservative, the prices were very good. Be patient in looking for designs that may appeal to you. The sellers really did not mind our browsing and constant request to see some of their jewels. There were also plenty of stalls selling souvenirs, clothes, fake sunglasses and watches. This market is close to the riverside so when you are having your walk along the riverside, just follow the trail of women carrying market bags and you will find this market. It offers everything from foodstuff to fake sunglasses and watches. Most farmers bring their fresh produce here as there is a bigger crowd of restaurant owners who come and buy here. It is also close to the temple so most women visit the temple and come here afterwards. 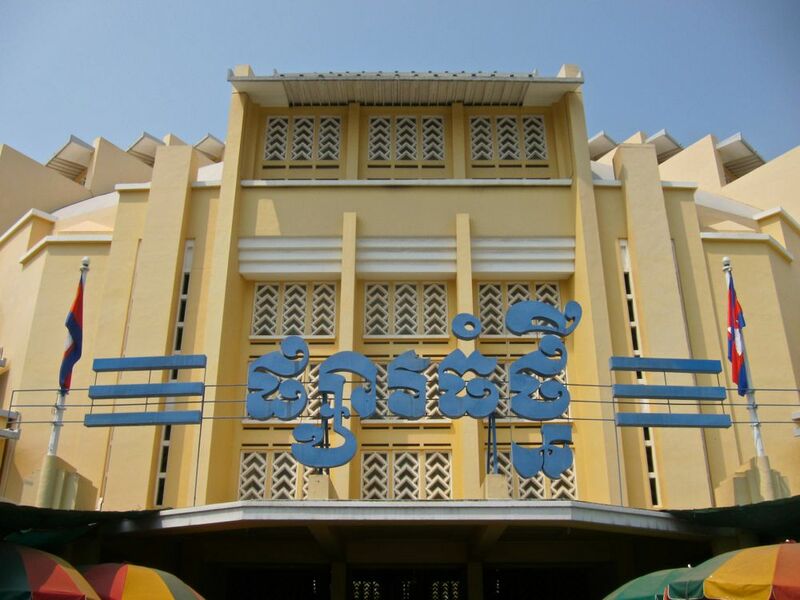 This is heavily patronized by the locals so you'll have a good taste here of the Phnom Penh culture. 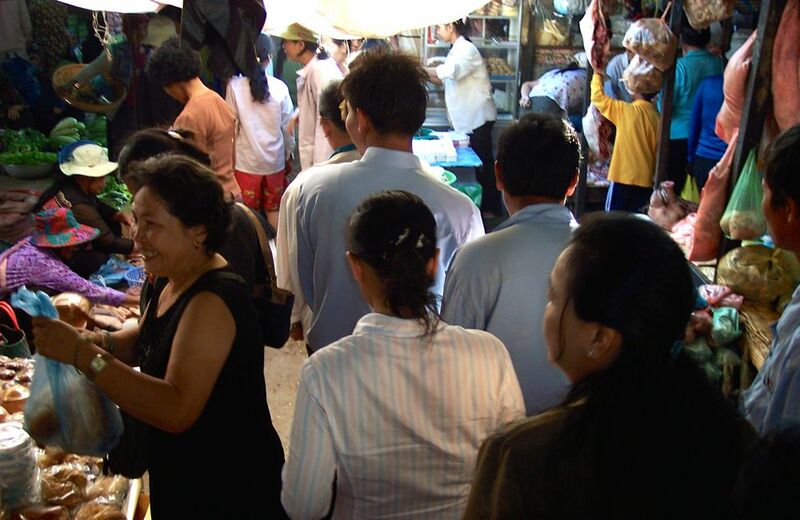 This market is the favourite of foreigners and as the Russians at the time were the majority of foreigners visiting when Cambodia was a strongly Communist country, this got to be called Russian market. The locals call it foul Tompong. Until now, it is popular to foreigners who roam the market, try out the food stalls, buy fake CDs and souvenirs. 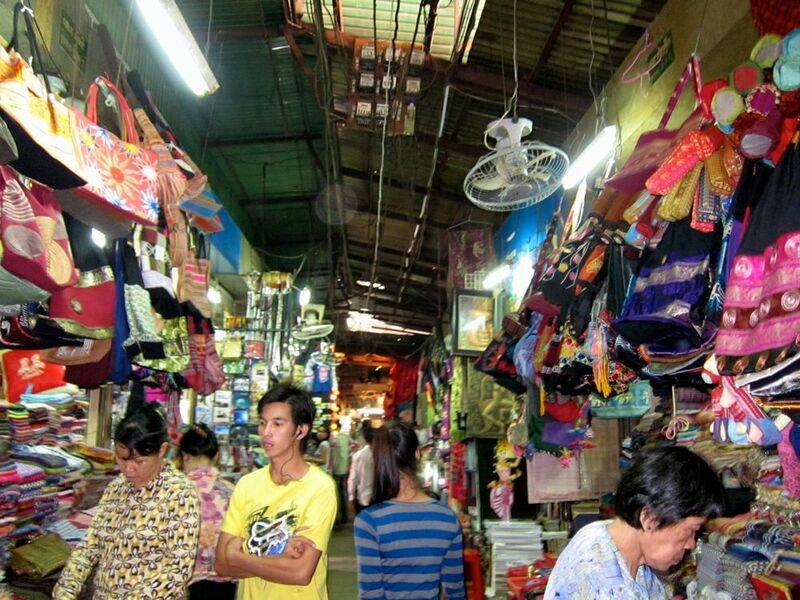 This market has a wide selection of souvenirs from silk and silk products, to carvings and woven items. There are also rows upon rows of clothes, some over runs from foreign factories, shoes, swimwear, underwear and children’c clothes. Try out the food stall. You can choose the food you want to try as you can see them prepare it. Just sit in one of the stalls and point at the one you love to try. I tell you, you will have lots of fun. 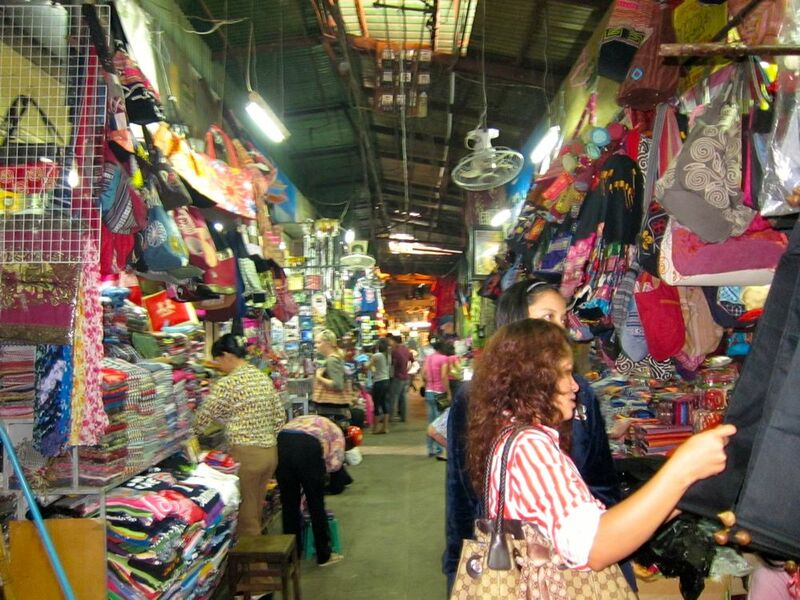 I used to visit this market as it had so many fabric to choose from as well as sewing accessories. But for many locals, especially the younger ones, this market is very attractive. Here, you'll find the latest in fashion mostly from Korea and Hong Kong. The prices might surprise you but these are imported items. You can also find Cambodian silk products and jewelry here. The place is a bit confusing so have markers when you venture into the different stalls. This market is fully busy. It can be overwhelming for many foreigners. But, if your desire is to be with the locals, this is the place to go. I found pots here and baskets and mats locally made. Many expats live close to this area so they shop for daily fresh needs here from vegetables to fruits but this market also carry many other items. Don’t exhaust yourself. Sit down and try some of the food stalls. They have healthy juices as well. Know that many countries now clamp on fake goods and confiscate them at airports. Go and explore. The experience in these local markets are well worth it. You can start with the Central Market and the Russian Market as many foreigners go there and they're easier to navigate. 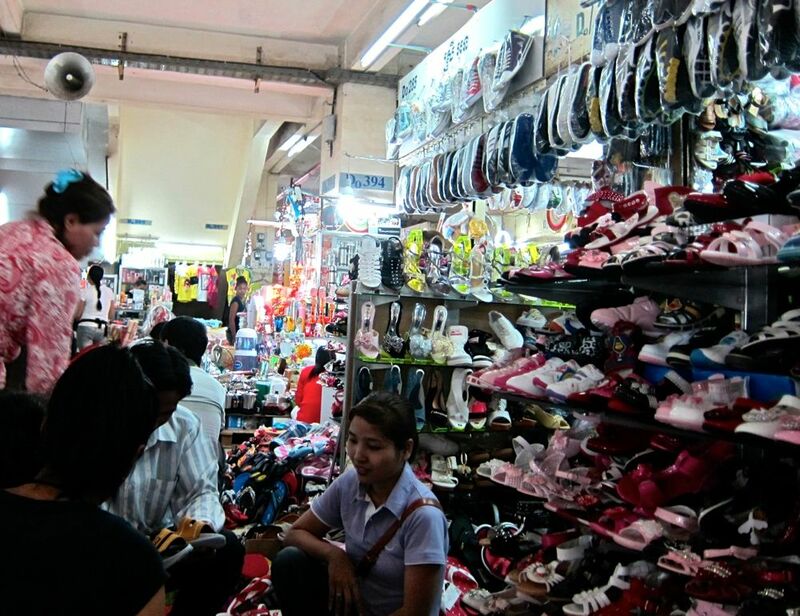 There are even now several air-conditioned stores just close to the gates to the old market and the prices here are reasonable and the goods of better quality. But nothing beats the experience inside these local markets. Thanks for the visit. 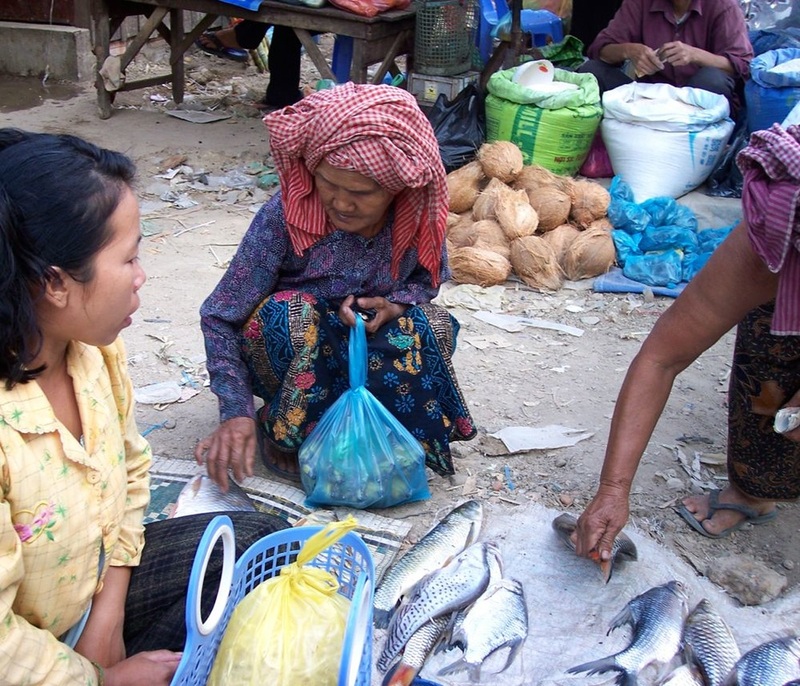 Do you enjoy visiting local markets when you travel?